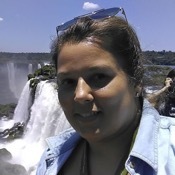 Traveler Review for Private Tour in Iguazú National Park, Misiones, Argentina by Tour Guide Lilian Regina S.
TOUR GUIDE RESPONSE: Thank you Linda... I really had a wonderful time with Jan and Donna... They were great... and we could see a little bit more... Send a big hug to them!!! !